These dense, White Chocolate Blondies are a perfect sweet treat with chunks of sweet white chocolate and oodles of festive colorful sprinkles. 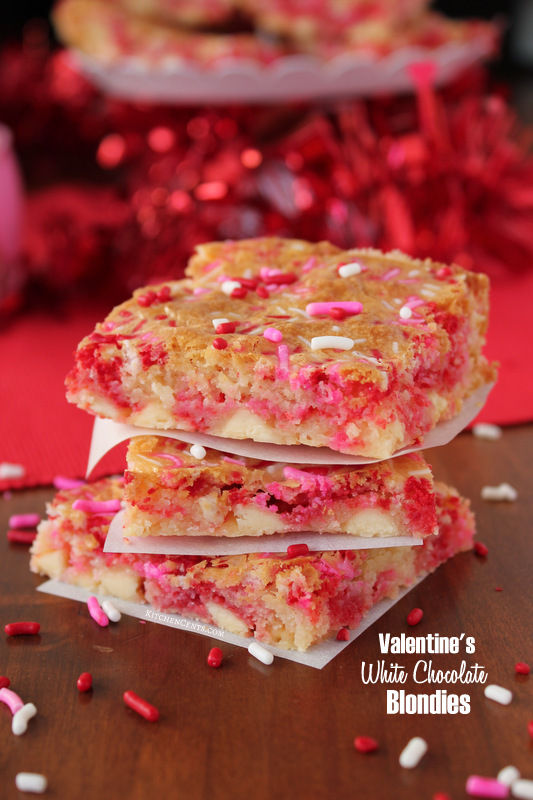 Making these delicious blondies with red, pink, and white sprinkles would sweeten anyone’s Valentine’s Day! 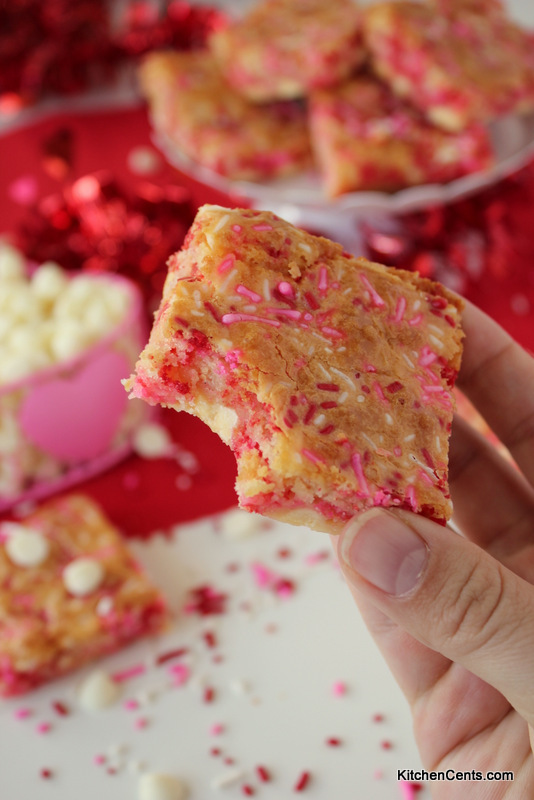 This fun, festive pink and red White Chocolate Blondies came about because of our love for tea parties and Valentine’s Day. They’re so yummy and pretty too! One of the things I love most about them is their dense consistency. They’re like a brownie but vanilla flavored and white thus the “blondie” name. They are quick to make! These sweet white chocolate blondies only take about five minutes to mix and 30ish minutes to bake, depending on your oven and pan. You can find the full printable recipe HERE or by clicking one of the big buttons below. 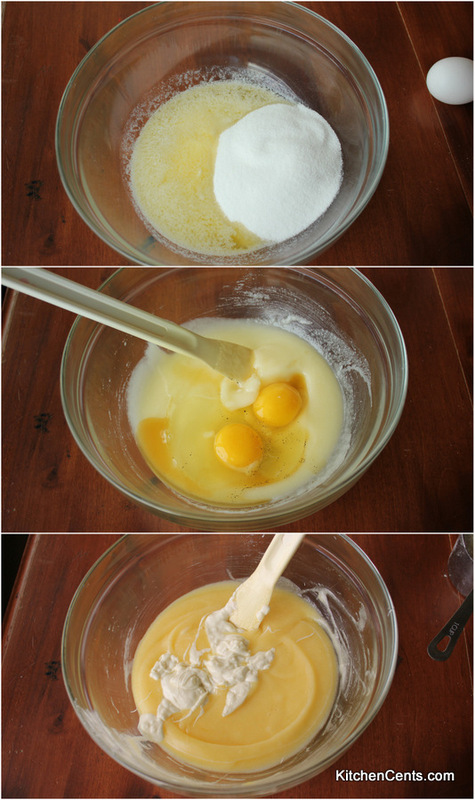 First, I mix the butter and sugar together then add the eggs and vanilla. Once those are mixed well, I stir in the melted white chocolate. You’ll want to make sure you mix the melted white chocolate in while it’s warm so it will disperse. 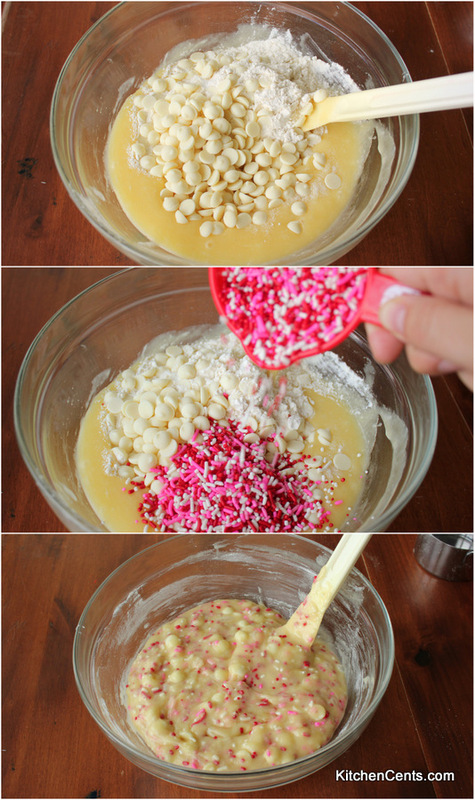 After the melted white chocolate is fully mixed in, I add the flour, white chocolate chunks, and sprinkles. You can make these for any occasion really. Adding your favorite color of sprinkles, Christmas sprinkles, etc can make these a perfect treat you can enjoy year around. 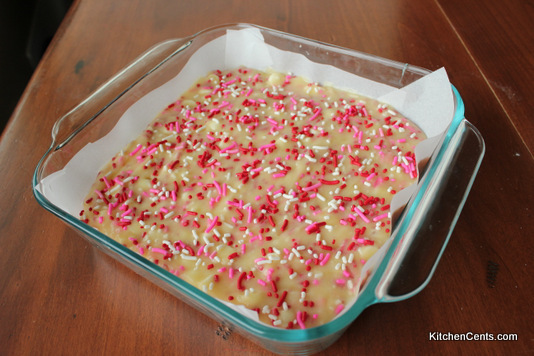 The sprinkles will color the blondies as they cook. 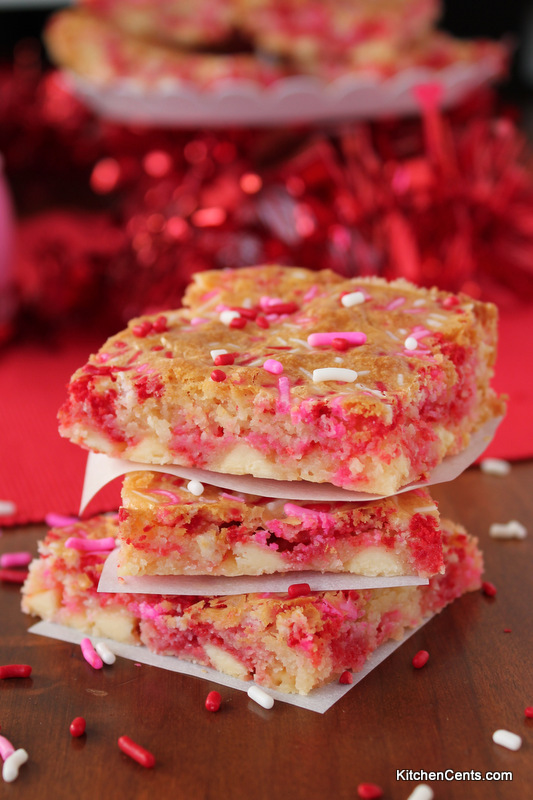 The pretty pink and red colors AND the chunks of white chocolate make these white chocolate blondies so good! Do you have a Valentine’s Day tradition? Activity? Food? Dessert?